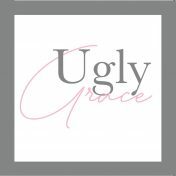 Ugly Grace – Page 2 – Because sometimes, God's grace in our lives, starts first with an ugly story. I love a good, gritty real-life documentary, the sort of moody TV programme with fly on the wall camera work, following a police investigation team, through all the twists and turns of a seemingly unsolvable case. So I’ll admit, that yesterday in this house, there may have been a bit of binge watching of this kind of thing; one assault and killing investigation after another. Initially, it felt great to watch the ‘bad guys’ be put away and justice be served, until that is, it was time for bed and I suddenly realised how this tiptoe into darkness had become lodged in my head. As my eyes shut, all I could think about was destruction and hopelessness. Thanks to the rather grim afternoon of viewing, fear had walked in the door and casually put its feet up on the coffee table of my mind. And was going nowhere fast. Eventually at about 1am (still awake! ), having chewed over every possible fearful outcome in my life, I prayed, ‘Lord, will you lift this from me? It’s too much’. I know I’d flirted with fear and swung the door wide open, but God, in his grace and mercy is always able and willing to offer us a way out. I eventually nodded off to sleep feeling a little more peaceful, but woke up this morning, still a little uneasy and unsettled. But, on the plus side, there was a song in my head, called ‘Fear is a liar’. I don’t actually know all the words, just that one line, fear is a liar, fear is a liar. As I got up, buzzed about, getting ready for the day ahead, I was unpacking that thought a little more. Of course, not all fear is bad. The fear that you might fall, when standing close to a cliff edge, is a good fear. Staying away from things (or people!) who might bite is a good and cautious way to live. But the suffocating, illogical fear of ‘what if’ usually has no life-redeeming purpose. That’s the fear of all the things that might happen, the things that could go wrong. Those kinds of fears are often groundless but they have a paralysing effect. They tell you the future is bleak, there’s no hope, nothing will ever change. Those kinds of fear stop you sleeping. And they stop you from living. With these thoughts and the song still rolling around in my head, I poured a strong coffee and settled down to read my Bible and devotion notes. It’s worth saying at this point that I’m currently reading a devotion which is un-dated. It’s designed to be something you work through at your own pace, without reading a specific dated page each day. I hadn’t looked at this devotion over the weekend and before I thumbed to the last page I read, I prayed, ‘Lord, you know how I’m feeling. Please show me something for today’. You seriously couldn’t make it up! Perhaps more amazingly is the fact that God knew I wouldn’t read this particular devotion on Saturday or Sunday. He knew that I’d need to see that exact reading on Monday morning. He even kindly woke me up with the song in my head. Well, to me, it’s a simple reminder of God’s goodness. If God can orchestrate my day so perfectly, wake me up with a song in my head, line up a perfect devotional just when I needed it, surely he’s got everything else under control too? When we know we are loved and held together by a God who sees and understands the tiny details of our lives, there is nothing to fear. I’ve never been much of a hugger. Ok, I should correct that. I really like hugs, I’m just not a fan of long hugs. But coming from a family who is mercilessly affectionate, where cuddles, kisses and ‘I love yous’, were dispensed like sweeties at a fairground, over the years, I’ve learned how to enjoy a decent, warm embrace. These days, it’s much more of a natural response when arriving or departing anywhere; everyone I know gets a short, functional but affectionate hug. I call them power hugs. I feel like I get all the emotional nutrition I need from a quick embrace and peck on the cheek. I don’t need to slowly extract all the goodness from a prolonged squeeze. I give a hug and then I indicate I’m done by stepping back. My sister in law told me not too long ago, that I ‘tap out’. I hug and then I tap the other person’s back as if to say, ‘ok, you can let go. I’m done with you now’. As a child, my family would be fortunate if they even got a quick squeeze. There are pictures of me grimacing, trying to wriggle away as relatives came in for a ‘proper hug’. It’s a standing joke in our family. Paula likes hugs, just don’t hug too long. Recently, I was sitting in the quiet, reading my Bible and praying. I’d read something really powerful on the subject of worry and how it can invade our thought processes without us realising it. I sat in the quiet, asking God for wisdom for the day ahead and then just as I felt this lovely sense of God’s presence, my brain went, ‘right, that’s it now…I’m done’. As clear as anything, I felt God say to me, ‘don’t tap out’. Just like the hugs where I indicate I’m done, I was doing the same with God. Just when it got special, when he was starting to show me new things, my practical, busy, got-stuff-to-do-side, kicked in and before you could say ‘Amen’, I was off and on to something else. There was a woman in the Bible like that. You probably know the story of Martha and Mary. Both loved Jesus, both wanted to be near him. But Martha wanted to keep busy and do stuff for him. Mary just wanted to sit there, to listen, to absorb his presence, to enjoy the ‘hug’. One got her fulfilment in doing. The other got her fulfilment in being. Sometimes we need to ‘do’, keep busy, get the job finished, tidy up. But we also need to make time to just be. Even if it’s just 5 minutes, while we wait for an appointment, while we’re stood in a queue, or (if we have longer) to sit with God and look out a window (without feeling the need to instagram it). It’s learning how to do nothing, to not fill every second with activity, to quietly listen (instead of stressing over whether we’re listening the ‘right way’). For me, I often show my love and concern by doing things. I’m the one whirling about like a dervish, trying to do all the stuff that others can’t do. Even just yesterday, a family member said to me, ‘stop trying to organise this…relax, we’ve got it’. It makes me aware that constant activity can be an emotionally exhausting merry go round and in the process, I can forget how to sit down, how to be cared for, how to receive. Even with God, I can easily fall into the grace-less habit of reading a set amount of chapters, carefully highlighting the important bits, praying for the exact amount of allotted time (and all the people I said I’d pray for) as though I must do stuff, in order to earn God’s grace and mercy. But God often asks us to be still, to wait patiently, to quietly enjoy what he’s saying, to jump off the dizzying roundabout of endless activity. He asks us to tune in and stay there and not be quite so quick to tap out. I’m the kind of gal who grew up in the church. Church has always been my home, my safe place and I knew from an early age the dangers of becoming a ‘church hopper’. There was a frequently used analogy, ‘a coal out of the fire, on the hearth, quickly goes cold.’ And I think that’s true, being part of a church, for a believer, is pretty important and when you’re not in a community, it’s much tougher to keep ‘warm’. But what happens if you find yourself without a church home? Well, last year, through a variety of unforeseen issues, I found myself in that very situation. Mentally picturing coals and slowly dying embers, I quickly drew up a shortlist of nearby churches which seemed to fit the bill and over the course of a few Sundays, I (nervously) started the arduous task of visiting them. To be honest, it was not an easy or fun experience (starting over, rarely is!) and there were plenty of mornings where I’d much rather have stayed in bed. But, I know that great things often happen, when we take small, (sometimes awkward) steps of obedience, so I somehow found the gumption to persevere. However, the whole process made me think about what makes a ‘good’ church. Is it the worship style? The speaker? The band? Or something else? As I visited one church after another, I began to realise that it was less about style, building or type of worship, but, like any new relationship or buying a house, for me, it’s mostly about chemistry. It’s either there or it’s not. You fit or you don’t. It feels right, or it doesn’t. So much of life is like that. A new house can look perfect on paper but ‘feel wrong’ and an old, crumbling ruin can look terrible, but yet somehow you’re energised and ready for the challenge. That’s chemistry. But, despite it all, there are still some things that churches could do (or maybe cease doing!) which could make the experience of first time visitors a bit easier. And so I write this as a bit of an open letter to all kinds of churches. This isn’t intended to be a critique of churches or an exploration of God’s design and plan for his church, but instead, a quick glance at what your church might look like, to a first time visitor. I can’t tell you the amount of times I’ve driven round endlessly in circles, trying to find a building which was tucked away in a corner with no obvious signs (all the while, fearing my detours would make me horribly late). Think of yourself as a big event…you know the kind where the AA/local council put up big signs to point people in the right direction? Even if in reality, you’re a group of 12 wanderers with a half finished website, if you want people to visit, please make it easy for them. The welcome is everything. Walking into a new church for the first time is a bit difficult for most people. Where will we sit? Will anyone talk to us? Your welcomers on the door need to be the kind of people who are genuinely interested in other humans. If they’re talking to each other and not making eye contact with the people who walk through the door, I’d dare to suggest they’re doing it wrong. Welcoming is the equivalent of triage at A&E. These are the people who are actively on the lookout for the newbies, for the shy, the nervous, the first-timers. I visited one church on my own and two welcomers gave me bright smiles and asked my name. One lady in particular just ‘got it’. She asked if I wanted to be left alone or would I like to sit with someone, emphasising there was no pressure. When I said I didn’t mind either way, she then introduced me to her friend, who said cheerily, ‘hey, come sit by us’ and she immediately made me feel at ease. Within minutes, the awkwardness had subsided and I was free to take part, observe and figure out if this was the church for me. As it turned out, it wasn’t…but I certainly couldn’t fault the welcome. Bottom line, a good welcome costs nothing. Recruit your nicest, pastoral people and put them on the door, so that everyone who walks into the church feels the presence of Jesus in their smiles and handshakes. One church visit will always stick out, just simply because of its strangeness. I’m pretty sure that when the speaker planned her talk, it looked fine on paper. In practice however, it was an all together much more awkward affair. The talk, on the whole, was good, all about seeing the image of God in others, encouraging us to be less judgemental and more accepting of the people in our lives who might otherwise irritate us. All good, all pretty challenging so far. And then, there was an exercise. In the middle of the preach, she asked us to stand up, face the person next to us and ‘examine their face’ for the image of God. As these words fell from her lips, my heart sank. Seriously? Nooooooooo (screamed my inner British girl). But I was stuck. Not taking part would have seemed churlish, so, a beetroot blush creeping up my face, I turned to the woman on my left to see if she had ‘the image of God’. Yep, all looked good to me, so surely this part was now over? But oh no, there was more. We were then encouraged to say what we saw, say something positive about the person. I mean, sure, if I knew her…but I didn’t even know her name. Incidentally, I noted the speaker herself was NOT staring into the eyes of another congregant. Nope, it was ok for her (ha!). She was holding her mic and watching the rest of us, as we shifted uncomfortably and sheepishly tried to avoid making eye contact with the person next to us. ‘Are you staying for coffee?’ said nice-woman-on-the-left, at the end of the service. Fearing another onslaught of being forced to hug strangers or tell my life story to people I’d only just met, I politely declined. The sigh of relief as I walked out the door and sank into the comforting embrace of my car, could have been heard a mile away. Please just let your visitors be visitors. Don’t make them do weird stuff, don’t ask them to stand up, say their name, hug someone or force them to make awkward prolonged eye contact with the person next to them. Now as much as I don’t want to take part in quirky, interactive object lessons, I also don’t want to be ignored. And alas, on quite a few occasions, that’s what’s happened. There’s been times where I have slipped in to the back of a new church, smiled at a few turned heads, tried to make myself look approachable, but by the end, no one spoke to me at all. You might think I should have tried harder? Perhaps so, but I tend to think that on a first visit, it’s better to be approached. After all, I’m a guest in your house and bouncing up to people to introduce myself, feels a little like helping myself to the food in your fridge, when I’ve only just walked into your home. My suggestion, encourage your church members to not just gravitate to the people they know, but to be on the active lookout for the faces they don’t recognise. A simple ‘hello’ and a handshake makes a massive difference. Being completely overlooked (even if it’s not at all intentional) is not fun at all. (Well, now you mention it, I think I DO mind you asking). What she said: Uhm, no. What she wanted to say:No, he’s with his new wife today, the woman he left me for. Truth is, everyone who walks into your church will have a story. They might be divorced. They might be going through a break up. They might be a single parent. They might not be able to have children. They’re not things anyone wants to go into on a first visit. The answers to those questions are the jewels, the things you share with people when you know and trust them. So, as a church, if you can, why not encourage your congregation to accept people for who they appear to be, without needing to immediately put a label on them. Ask your visitors where they’ve travelled from, if they’d like a coffee, whether they want to sit next to someone (or be left alone), but don’t get too personal, too fast. Talking of awkward questions, I’ve noticed that if you’re new to a church, there is sometimes an assumption that you’re not actually a Christian. Well-meaning church members have quietly pushed Alpha leaflets into my hands and on one particular occasion, the minister gave a lengthy appeal at the end of the service and stared meaningfully at me the entire time. The stare was so intense, that I began to wonder if I maybe needed to rededicate my life, you know, just to bring it to an end. I loved his obvious passion for the gospel, but just because I’m new to the church, doesn’t mean I’m new to the faith. Finally, I realise (in conclusion) that this might sound snippy or derogatory. I genuinely don’t want it to come across that way. I LOVE the church. I think it’s incredibly important for believers to be part of a community, a place where they can serve, give and grow. But how your church presents itself to first time visitors, is so important. The secret to growing a church is a probably a fascinating combination of factors. But when we get the practicalities right and that is blessed by the Holy Spirit, the Church becomes a powerful force to be reckoned with. And that is just what our world needs. Back in November, I wrote about an amazing experience I had, Surprised by God. And at the time, if I’m honest, a little part of me thought, ‘well, that’s amazing…now it’s time to get on with it’. So, I dug deep, found my ‘Dunkirk spirit’, donned my British stiff upper lip and decided to march on and press forward, because that’s what I do. I do stuff. I fix stuff. And once again, I suspect that my lovely, Heavenly Father laughed. How do I know? Well, these past few weeks, we’ve been visited by Fergus again, the chap who speaks into people’s lives and says what he thinks God wants him to say. I’ve had a fair bit of prayer recently and as a couple of things were pinpointed (that no one else could have known), once again, I felt that warm, familiar, comfortable embrace. And guess what? God’s not particularly interested in me being stoic. My life as a believer isn’t meant to a painful, gritted teeth endurance test. And best bit of all, God is talking all the time. He spoke really clearly to me in November. He spoke to me recently, and he’s been speaking all the months in-between. He’s not a God who turns up in mighty power at a special meeting and then walks away. He’s a God who is totally interested in the mundane details, in the huge joys, the dramas, in the daily struggles. He’s not a one hit wonder. And he’ll keep working with us and speaking to us, until he’s done with us. And he’ll never be done with us. I wish I could explain adequately what is going on at the moment, but I can’t. All I know is, that once again, when I unclench my fists and turn my heart over to his control, to allow him to fix things (instead of me trying to!) really surprising things happen. The projects I’ve been fretting over, which seemed to be stalling, suddenly burst into glorious technicolour. The inclination to talk and strategise about various problems starts to become instead, an urgent nudge to pray about them. I see a cashier at a till and I’m suddenly aware of how much God loves her and how much he wants her to know that. I’m too chicken (this time!) to tell her…but next time, I will! I pray with a friend about a situation and I don’t even understand where the words are coming from, but they’re the right words God needs her to hear. I pray and see this seemingly strange picture in my mind. I write it down (thinking I’m mad) but just hours later, I go to a service where the speaker repeats word for word, what I’d just ‘seen’. The situation which I was ready to walk away from just a few weeks ago, suddenly starts to shift, to change in ways I could not have anticipated. The doors which were firmly closed in my heart, are being quietly unlocked. Just when I (naively) thought I’d got my relationship with God all figured out, he messes it up. When I let go, when we let go, he breathes life into death and pushes up blooms through dark and cracked earth. He reminds us once again, that he is a God of surprises. He’s the fixer, the mender, the provider of solutions. The journey isn’t safe, it isn’t predictable and it’s almost definitely going to mess with your head. But we’re meant to do it with him, every single day. His mercies are not one hit wonders, they’re new every day. Some people go through their whole Christian life, without ever really experiencing what life is like, living with the Holy Spirit. I know, because I’ve met loads of Christians just like it. And if it wasn’t for my upbringing, I’d probably be one too. After all, how do you know to chase after more if you don’t know more exists? When I talk about experiencing the Holy Spirit, I’m not talking (necessarily) about falling over, jumping up and down, loud, emotional worship music or any of the stuff you might expect, it’s about such a profound, dizzying change on the inside of your insides, that you know you’ll never be the same again. It changes everything, it draws you in, it sends you out. It nudges you to be different. It changes you, it encourages you to be more. It shines a light on the dark stuff that no one else sees. And then you find yourself wanting the same for others. And without any kind of judgement, the ones who haven’t experienced it, are way easier to spot, the ones who need it are much easier to find. And you become very, very aware that you need it more and more each day. I blogged last year about an amazing experience I had at work and again last week, the same chap (unexpectedly) prayed for me and there it was again, that fire in my guts to be different. It’s been burning there quietly behind the scenes all week. It’s been a busy, challenging week in many respects and me and my big mouth have got me into trouble. But there in the background, was that gentle sweet nudge in the ribs, come on Cummings, you can do better than this. Suddenly realised that despite getting something so lovely and fresh from the Holy Spirit again, that my mind was still being governed by what we used to call ‘carnal thinking’ or what the NIV (brutally) refers to as ‘death’. I guess it’s what they also call, ‘stinking thinking’. Or in my case, a pretty bad attitude, a big mouth and a tendency to try and fix things myself. But there is a better way. I know there’s a better way because the dramatic encounters I’ve had with the Holy Spirit over the last few years, constantly remind me of that. I really don’t want to be that ‘carnal Christian’, the one who fixes things on her own, who lives as though the world’s problems could be fixed with logic and words. I’ve experienced life like this. It’s real. It changes everything and I want more of it. And the only way to do it, is to do it. Because when we choose to sidestep the ‘death thinking’ around us and instead choose to live in the life-giving thinking of the Holy Spirit, we see and experience life differently. It’s a whole new level. And it’s a level that lots of Christians may never experience. Oh, not because God doesn’t offer it. He does. It’s there, threaded through the extraordinary lives of the disciples, the crazy lives of the Old Testament prophets, the mind-boggling New Testament miracles. It all points to a God of fire, of life, of Damascus-road transformation. But from a distance, it can seem like maybe that’s not for me? Not for today? Perhaps ‘logic’ gets in the way? Perhaps it’s just safer to sit on the shore? And it’s true, it is ‘safer’ to stay away, because an encounter with the Holy Spirit, a life lived in that presence is terrifying. It’s challenging. It’s incredible. It’ll turn your world upside down in all the wrong and in all the right places. I’ve waded in the shallow end and I’ve done a running jump off the diving board. And I know which I prefer, which I need, which I want. Once again, I find myself ready to get out of the kids’ pool, ready to dive back into the deep end. A few months ago, I realised I needed a new car. The mileage on mine was creeping up and with various rattles making themselves heard (and a MOT due next month), I knew either way, I would soon be spending a chunk of cash. Now, some are going to think this is silly but when it comes to making big decisions, I’m a big believer in getting the ‘right feeling’. The ‘right feeling’ is how you feel about something after prayer or being in a worship environment. The ‘right feeling’ is usually a big splurge of unexpected excitement or inexplainable peace. In short, I believe that if I’m on a straight path with God, he will lead me to the right decision. So, a few weeks ago, I saw a car I really liked and arranged to take it for a test drive. As the car salesman pulled it to the front of the building, it seemed to call my name in a gentle, hushed whisper. We took it for a good, hearty spin and my friend said to me, ‘how do you feel about it?’ My reply was, ‘well, I feel nothing…it’s a beautiful car but I have no feeling, no emotion about it at all’. We arrived back at the dealership and I made a decision. Despite my lack of feeling, I’d talk to them and see if they’d be willing to budge on price…in a way, it was a ‘fleece’. We sat down at the sales desk (me, wearing my best poker face) to begin negotiation, but it soon became clear they just wanted me to buy a no-discounted car, plus an extended warranty AND borrow the money on HP, none of which I wanted to do. Outside, the car was still twinkling and winking mysteriously in the afternoon sun, catching my eye, but suddenly there it was…just like a heavenly emergency stop in my heart, I felt the thunk of God in my spirit, saying simply, ‘No, walk away’. But that didn’t stop me thinking about it all weekend. Maybe it was the right car? Maybe I was missing something? Why was I now driving past the forecourt, shifting a glance to look at it longingly? So, I thought I’d give the door one last nudge. This time, I rang the sales office to ask for more details, fully intending by now, to pay the full asking price (despite my initial misgivings), but once again, the man I spoke to, just spun me a tale about how I needed a 3 year extended warranty and it’d be better to get it on 0% finance, yada, yada, yada. This time I just knew it was dead, dead wrong. I ended the call and I admit, a bit reluctantly, put it into the hands of God and said that I’d trust him to find me the right car. So now, I should interrupt myself here to say that this could all sound like vacuous nonsense. After all, there’s a level of excruitating pain and need in the world and here I am, waxing lyrical about God finding me a car? But in reality, I don’t believe this whole experience WAS about a car. It was about learning to lean on that still, small voice to lead me in a direction that wouldn’t end up causing me grief and heartache. I know that I can’t trust myself and I know that life is far, far better when I lean on, lean into that lovely, reassuring, calming quiet whisper of the Holy Spirit. It’s not about cars or jobs or big decisions, it’s about trust. And so last week, still feeling a little miffed at not yet finding a car, I resumed my online search and went back to a dealership I’ve bought cars from in the past. There, on the forecourt was the exact same model of car I’d test driven a week before (even the same colour), looking just as beautiful, just lower mileage and with a few more fun features. It too, sat there, gleaming and winking at me in the sun, but this time, the test drive was different. There was a surge of excitement. Exact same model of car, different dealer, but bingo, I knew this was the one. I had to wait a few days before it was ready to collect, but yesterday, as I drove to the dealership in my old car, I prayed a prayer of blessing over it (the old car). I prayed that whoever bought it after me, would feel God’s presence in the car, that it would be safe, reliable and if they didn’t already know Jesus, that somehow the car would lead them to him. And then I picked up my new car and prayed in it too. Tonight as I drove home in the new car, with a powerful worship song flowing through the speakers, the lovely presence of Jesus was so real in the car, I didn’t want to get out. I parked up and dawdled for a bit, enjoying it, feeling flooded again with thankfulness. Thankful for a lovely new car yes, but in a world of desperate need, also thankful for a God who can be leaned on and trusted, whatever the decision. Three words, gasped from the wheezy lungs of a dying man. The three most powerful words ever spoken. I’ve been thinking about those words this week, in the run up to Easter. Easter or ‘the resurrection holiday’ is my most favourite time of year. The solemn quiet of Good Friday with the incredible lightness and freedom of Easter Sunday morning, make for me, a pretty huge weekend. There’s just something about the cross, the love, the humiliation, the tears, the willingness, that makes me cry every time. Many can look on and understand logically how horrific it must have been, but for me, it digs something up and I’m not quite sure what. I know that in the mix of all the emotions though, gratitude plays a big part. You see, when Jesus said, ‘it is finished’, he wasn’t just talking about his life and the brutal, asphyxiating end, he was talking about an end to the weariness of sin, the complex ritual of religion, the burden of pain and the human condition. In those dying hours, all of hell, all that was evil, destructive and painful was slowly and methodically hammered into his hands and feet. The horror that Jesus experienced went way beyond the physical agony, it was the emotional blackness and the feeling for the first time in his life, that God had abandoned him. As he looked evil in the face, knowing full well he could have called on God to save him at any time, he instead chose to stay, to fulfil God’s plan for humanity. He stayed because he wanted to. When he cried out, ‘it is finished’, he was shouting out to humanity. It is done. The divide between you and God is over. You can be free from the tyranny of sin, you don’t have to live in torment, in fear, in judgement. It’s simply too big a concept for us to grasp, which is probably why this time of year (to me) feels so emotional. Today, I’m overwhelmingly grateful for that day, the darkest day the world has ever known. But it was also the day, that something new began.